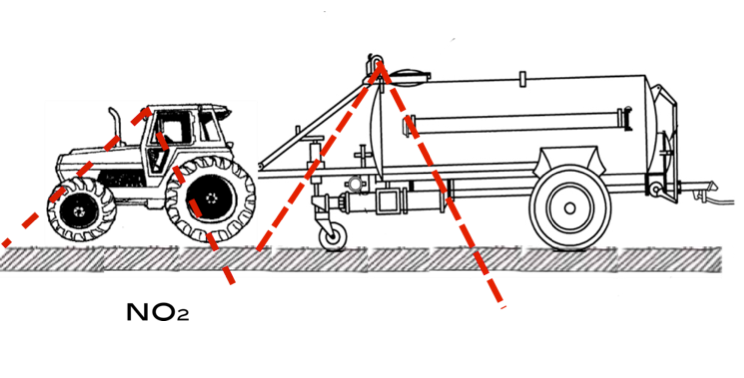 This project is the first part of the development of a prototype sensor placed in a tractor to measure in real time the concentration of nitrates and phosphates in the soil in order to optimize the passage of the tractor, fertilizer application. Therefore, in this first project all kinds of experimental analysis to obtain a proof of concept of measuring the macronutrients phosphorus and nitrogen by photonic sensors tastings of land known concentrations of macronutrients were made. In addition, optical equipment specifications and conceptual design of the sensor is defined. • A low concentration of macronutrients produces a low crop yields. • A high concentration, produced by a subscriber excessive, does the farmer incurring excessive costs without obtaining economic return. • Reduce the environmental impact of the process of payment of a field (impact that is produced by the action of slurry). Generally the concentration of phosphorus must be between 20 and 30ppm and nitrogen (NO3-N) between 10 and 30ppm depending on the target crop. The farmer knows the composition of slurry with which paves the field so it is necessary to know the concentration of macronutrients in the field to optimize the amount of manure. Today you can know the amount of nutrients the plant once grown but not before paying.